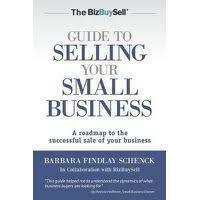 BIZSTRONG is a resource center with tools and tips from strategist and author Barbara Findlay Schenck. Purchase books by clicking on the covers on this site or visiting Barbara's Amazon Author page. Read her columns, written for Microsoft, Sprint, VISA, American Express and other business leaders, on the Bizstrong Free Resources page or in her column collection at Entrepreneur. READY TO POWER UP YOUR BUSINESS PLANNING? Watch the short trailer for Powerful Business Planning, Barbara's 10-hour creativeLIVE taped course. Learn more and purchase the full course here. WANT TO SELL YOUR BUSINESS SOME DAY? Attorney Nina Kaufman interviews Barbara on on how to build and run a sale-worthy business in this half-hour Business Exponential podcast. With a quarter million copies already sold, make this 5th edition of Business Plans Kit For Dummies your blueprint for generating a business idea, mapping strategic direction, developing a plan for success, and building your business in today's ever-changing business world. Book purchase includes download access to more than a hundred worksheets and a template for designing and creating your business plan. By Steven Peterson, Peter Jaret, Barbara Findlay Schenck. Read the Business Plans Kit For Dummies free Cheat Sheet here. Named "Book of the Month" by BrandChannel.com and now in its 2nd edition, Branding for Dummies is your guide to what brands are, why they matter, and how to build and protect a distinctive, influential personal or powerful brand for you and your business. This book has been translated into a number of languages and is the go-to branding resource for individuals, businesses, college courses, ad agencies and marketing firms. By Bill Chiaravalle and Barbara Findlay Schenck. Read the Branding For Dummies free Cheat Sheet here. A Small Business Book Award winner, this 3rd edition of Small Business Marketing Kit For Dummies includes more than 50 downloadable forms and worksheets. Count on it for everything you need to know about what marketing is and how to write and implement your marketing plan. It also features spotlight advice from 10 small business experts. By Barbara Findlay Schenck. Read Chapter 1 of Small Business Marketing Kit For Dummies for free here. Published by BizBuySell, the Internet's largest business-for-sale marketplace, this guide walks you through the steps to take as you prepare your business for sale, put a price on your business, find and deal with prospective buyers, negotiate the deal, and finally close the sale and transition your business to its new owner. If you're a business owner prepping for a business sale or think a sale might be in your future make this book your business exit planner. You can buy a print version on Amazon or, better yet, go to bizbuysell.com and download the book for free here.